Ethereum and NEO are both high-profile altcoins in the cryptocurrency space. While there are many die-hard investors who swear by one or the other, believing that their choice will be crowned the Next Best Thing, we question whether we should be constructing such a pecking order in the first place. Move Over, Bitcoin: Who’s Next in Line? Bitcoin used to be beautiful. It was first conceived by an anonymous cryptographer who, ambitiously, set out to change the rules so that fiscal power would be in the hands of the people and not the banks that bind and bankrupt us. But Bitcoin is a grandfather technology that, as nostalgic as it makes early adopters feel or the giddiness it evokes in more recent investors due to its steady meteoric rise, leaves us lacking. For one, the technology is slow and clunky in comparison to its more modern counterparts. The massive recent network bloat experienced by bitcoin has left many an investor frustrated as to its practicality, and using bitcoin in the real world looks to become more of a pipe dream. Secondly, it’s becoming expensive. Due to the severe strain on the network, transactions fees seem to climb by the day, begging the question: what happened to presenting Bitcoin as a cheap alternative to sky-high banking fees? …the question is, which one will it be, which one will be the winner, which one will be the Airbnb, or spaceX and not the Pets.com. 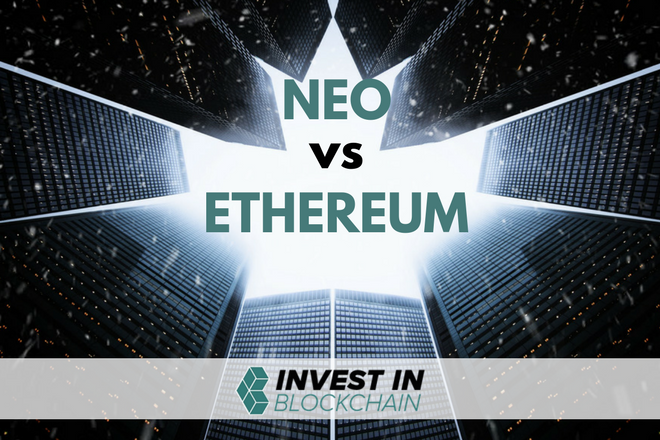 Should We Be Comparing NEO and Ethereum? Invested parties on both sides believe that their respective altcoin of choice will be the one left holding the sceptre. NEO, a Chinese company, is often called “China’s Ethereum” or the “Ethereum of the East”, leaving little to the imagination as to just how similar these two coins are perceived to be. But is this a productive – even valid – avenue of reasoning? Should we be playing one over the other, believing that there is space only for either/or and not both? To attempt to answer this question, let’s take a closer look at what makes up these two cryptocurrencies. 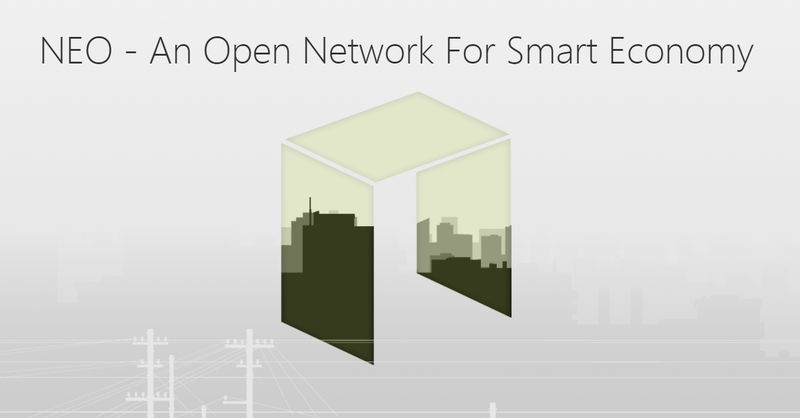 … a decentralized platform that runs smart contracts: applications that run exactly as programmed without any possibility of downtime, censorship, fraud or third-party interference. NEO is a non-profit community-based blockchain project that utilizes blockchain technology and digital identity to digitize assets, to automate the management of digital assets using smart contracts, and to realize a “smart economy” with a distributed network. Did these respective definitions sound remarkably similar? That’s because, in many ways, they are. Both aim to dominate the market in terms of being blockchain platforms that offer decentralized functionalities such as dapps, ICOs, and smart contracts. Both require the adoption of their crypto tokens in order to use their platform: Ethereum’s Ether and NEO’s GAS. This, then, would make them direct competitors to a big extent. This is an important point that is highly relevant to our discussion here today. For, if they are competing for market cap, then surely we do need to divide and conquer? NEO is what Ethereum’s too old to be: younger and faster. Having been able to leverage on Ethereum’s experience in the marketplace, NEO is also more user-friendly as well as more secure. This, however, does not stop Ethereum from being the second most popular cryptocurrency in the world, with a total market cap of $105 billion compared to NEO’s $9 billion (at the time of writing). NEO’s biggest selling point is that it can handle a whopping 10,000 transactions per second compared to Ethereum’s 15. NEO’s consensus mechanism uses Delegated Byzantine Fault Tolerance (dBFT) as opposed to Ethereum’s more expensive and energy-heavy Proof-of-Work (PoW). NEO cannot undergo a hard fork. Ethereum has already been split into Ethereum and Ethereum Classic, with more hard forks on the way. NEO supports multiple programming languages, including C# and Java and, in future Python and Go, greatly lowering the barrier to entry for many programmers to get involved in blockchain technology. Ethereum has a specially dedicated programming language named Solidity that is neither well-known nor adequately mastered by many programmers. NEO’s NeoQS anti-quantum cryptography mechanism can withstand quantum computing hacks. Ethereum cannot, and is thus left vulnerable. NEO isn’t mineable. Ethereum is. NEO isn’t divisible into decimals but sticks only to whole numbers. Ethereum can be divided into many decimals. While the Chinese government frowns upon cryptocurrencies in general and have even gone so far as to ban ICOs, NEO enjoys backing from state and national banks. NEO is also supported by Microsoft and Alibaba. This is an important characteristic in a country that is otherwise seemingly unfriendly to the industry, as it will allow NEO to capitalize on a huge Chinese market. On the other hand, Ethereum is government-agnostic, and enjoys support from the Enterprise Ethereum Alliance, boasting some of the global corporate’s biggest names. NEO is China-based and largely Chinese-focused, which is no mean feat, seeing that China houses 20 percent of the world population, many of whom are incredibly tech-savvy and downright dependent in a way that other countries have difficulty conceiving of. That said, NEO is working to build a wider, global audience by hosting events to grow support for its platform. Ethereum, with its first mover-advantage, enjoys a more international audience with, thus far, much larger support from the tech community. There can be no doubt that both these altcoins hold massive potential to be the next Bitcoin, but with one important differentiation. Instead of being a mascot for what the concept of cryptocurrency and blockchain represents, like Bitcoin, Ethereum and NEO have the potential to become the most popular cryptocurrency in the world due to their plusses far outweighing their minuses, especially in comparison to other cryptos in the market. NEO is set to continue building a loyal following from investors in China, who together make up a very large percentage of the world’s crypto investors. Moreover, we should not fail to consider the significance of the involvement of the Chinese government, who might just make NEO a state-mandated cryptocurrency. Ethereum, meanwhile, has already been adopted by many blockchain startups the world over – though proportionally concentrated in Western countries – that integrates its technology into their own. There is a certain fallacy of thought in the West that “West is best”. And, in terms of Western products catering to Western markets, there are certainly obvious truths in this. But what many partaking in this competitive debate fail to take into account is that China, like much of the East, will far more readily support home-grown technology than Western imports. The pride in and loyalty to national product far outweigh the need to adopt Western technologies. And with a technology-driven population that’s nearly 1.4 billion people strong, there’s a lot of support to go around. This has been the case with Amazon vs Alibaba and WhatsApp vs WeChat. Alibaba (the world’s largest IPO) and WeChat (which generates more annual revenue than Facebook) are multi-billion dollar market leaders in the East. Yet no one bothers to compare how they will fare against their Western counterparts in some Grand Finale face-off, because any conclusion would be a moot point. While some investors are of the opinion that crypto is not brand but functionality-loyal, their argument fails to take into account the sheer numbers of the altcoin investment explosion. Daily, more and more investors are getting on board, often with a very limited understanding of the technicalities driving the altcoins they support, and so they do end up investing based on some semblance of brand loyalty, even if merely along the lines of Ethereum vs “China’s Ethereum”. Thus, should we truly be comparing NEO and Ethereum? Or should we take out our cheque books and invest in both? Both projects are open-source, Turing complete, and have massive community support with people loyally rooting for their respective teams. But while NEO’s focus is on creating a smart economy by digitizing real-world assets, Ethereum has its sights set on becoming the world’s only – or at least first – supercomputer that hosts anything from decentralized exchanges to remittances. Thanks to the differing markets they serve, both geographically and thanks to the opposite directions their particular organizational visions are taking them, it appears there is space aplenty for both ecosystems to co-exist. There certainly is room for both altcoins in the cryptosphere and while time will tell what their respective futures hold, it’s clear that we’re dealing with two very robust sets of technologies by two very dynamic companies. Do you live in China, or is NEO paying you to write this article? Almost all of it is incorrect. You should really check your facts before posting such article. NEO uses PoS? NEO is supported by Microsoft? NEO is more secure? You forgot to explain GAS? IF YOU LOOKED ON NEO WEBSITE U WILL SEE MIRCOSOFT SUPPORTED A COMPETITION THAT NEO HOSTED THAT IS ENDING TOMMORW.